Goodbye winter food, Hello Spring! One of my favorite things about winter is that I get to eat my favorite comfort foods like braised short ribs and home made chicken soup. There is something about succulent beef served with good old potatoes and gravy that screams comfort and feeds the soul. During summer time we tend to eat very light meals and the last thing we want to eat is a heavy meal that will weigh us down. Since we have started experiencing warmer weather in Boston I decided to make my last comfy cozy winter meal this past weekend. 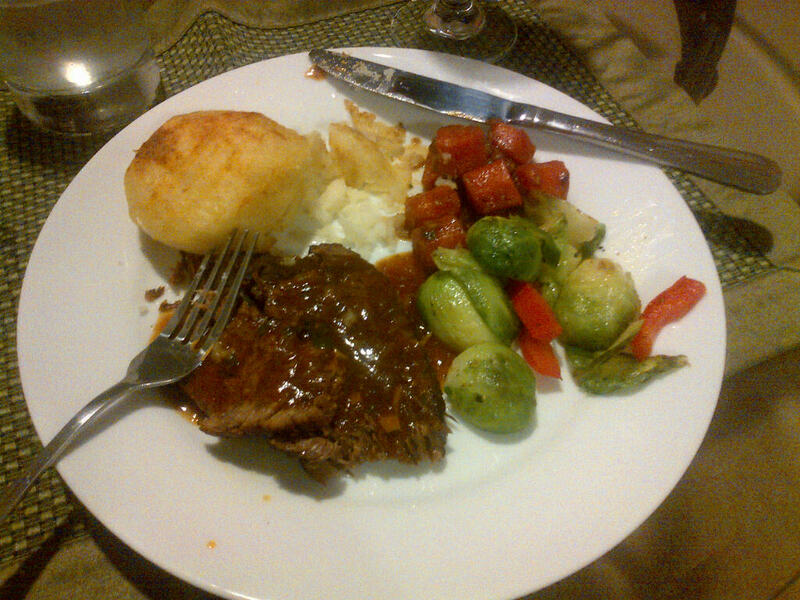 This meal included braised steak , roast potatoes , Brussels sprouts with carrots and a rich onion gravy to top it off. Wondering how to make yummy Brussels sprouts like those in my last winter meal? see recipe below for a quick and easy recipe. Remove stems and outer leaves of brussels sprouts .Cut each sprout into half and cook in salted boiling water for 3 min. Drain sprouts and add olive oil and butter to heated pan. Add minced garlic into pan and cook for for 30seconds. Add brussels sprouts to garlic,add pepper and cook for 3 minutes or until sprouts start browning. You can add some red bell bepper slices for color if you wish. Saturday style clinic: How to keep your hands and feet looking good.